This is how I spent a Tuesday afternoon: making my first gif image! It took me a total of less than 3.5 hours, and I'm pretty happy with the results. The character is Hiroshi Inaba from Cuticle Tantei Inaba. It's a pretty funny anime and I recommend it to those who need a good wacky laugh. [Edit:] Here's an updated version promoting our blog. 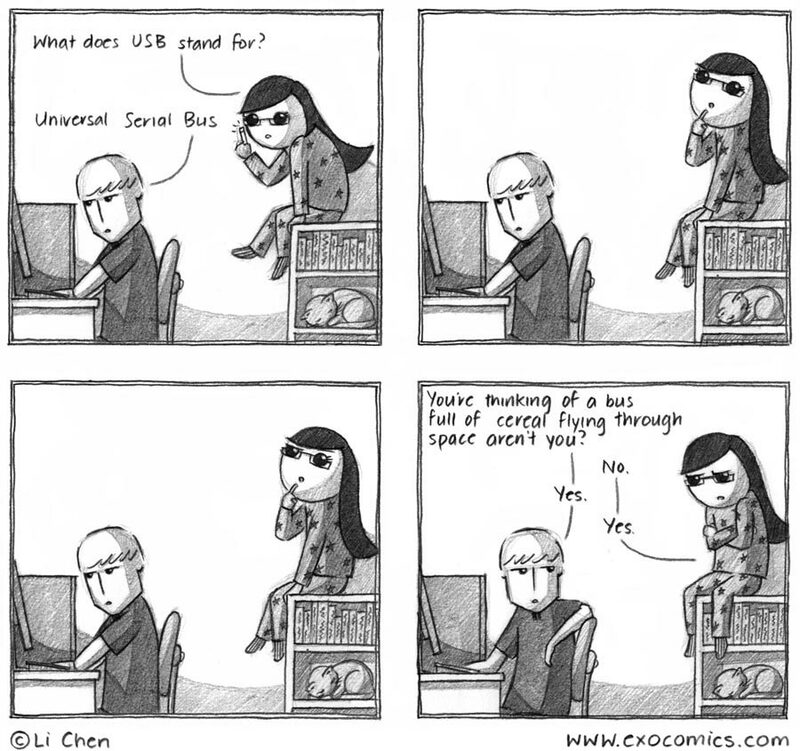 Has anyone ever asked you what does USB stand for? I certainly have encountered this question and usually I respond with the exact same words as in the comic above illustrates. 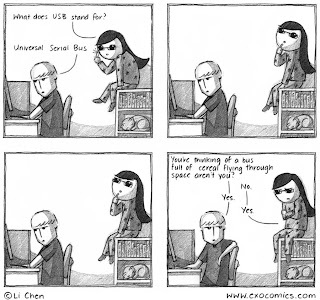 Most people don't know what 'Universal Serial Bus' means anyway...and I don't usually bother explaining to them what it all actually means.